TUNIS: Any moves to undermine Syria’s sovereignty over the Golan Heights should be rejected, Saudi Arabia’s King Salman told the Arab League summit on Sunday. 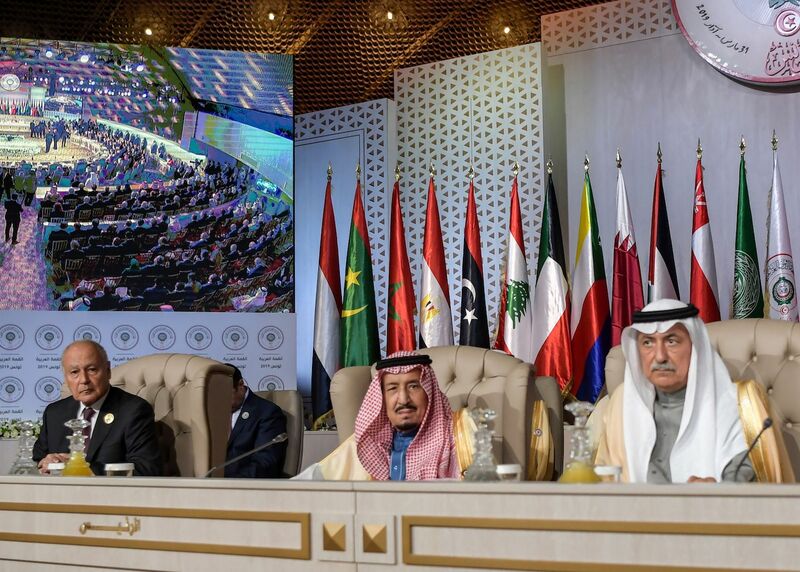 King Salman said at the Arab League summit in Tunis that he absolutely rejects any measures that impact on Syrian sovereignty over the Golan Heights. Tunisian President Beji Caid Essebsi said that the Golan Heights is occupied Arab land, and rejected the US decision over sovereignty of territory. Arab League Secretary-General Ahmed Aboul Gheit said that the US decision is contrary to all international conventions. 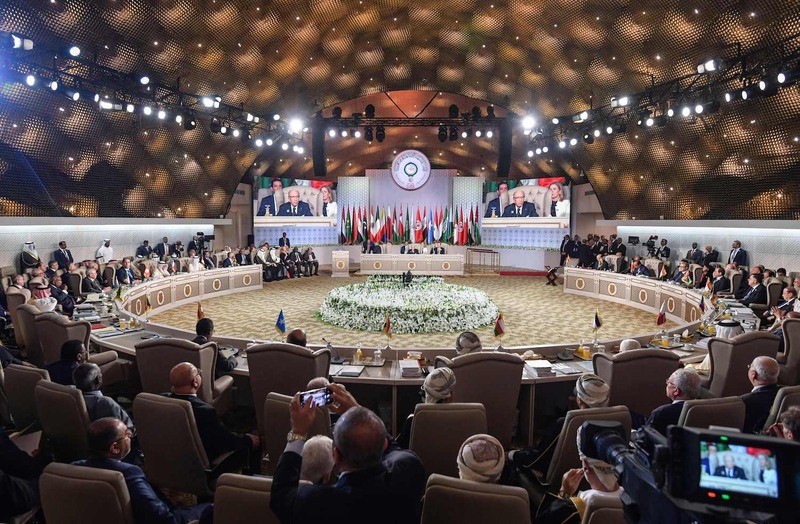 He also said that Iran and Turkey have "worsened some crises and created new problems," calling on Arab leaders to "unite as one force under one umbrella against the regional interventions." Meanwhile, Qatar’s Sheikh Tamim abruptly left the Arab League summit after it opened and did not give a speech, Qatar News Agency reported. He left the Arab League summit “in protest at criticism of Turkey,” Al Arabiya reported citing news websites close to Qatar. King Salman praised the positive outcome of the Arab League Summit as he left Tunisia. 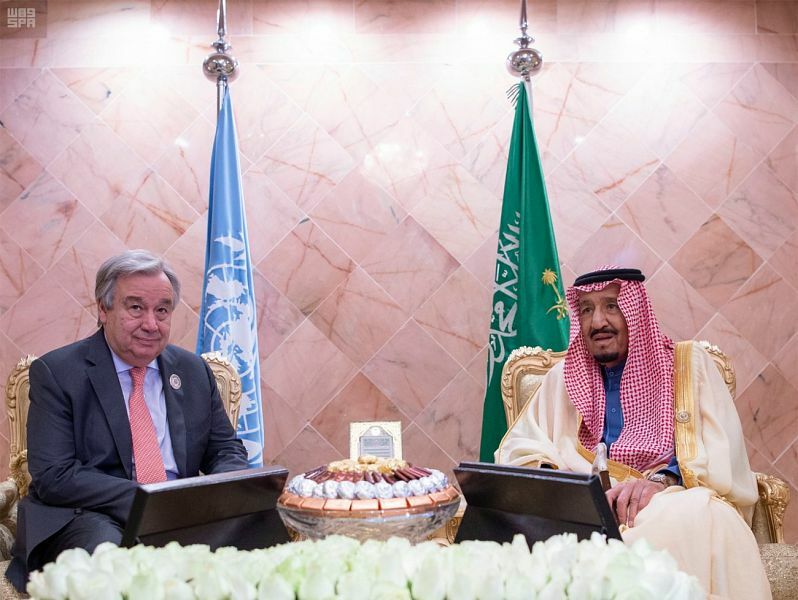 The king also met with UN Secretary-General Antonio Guterres on the sidelines of the summit. During the meeting, they reviewed regional developments and various efforts aimed at achieving peace and stability in the region. The leaders also called on Iran to stop interfering in the internal affairs of Arab countries and condemned the Houthis' firing of missiles into Saudi Arabia.